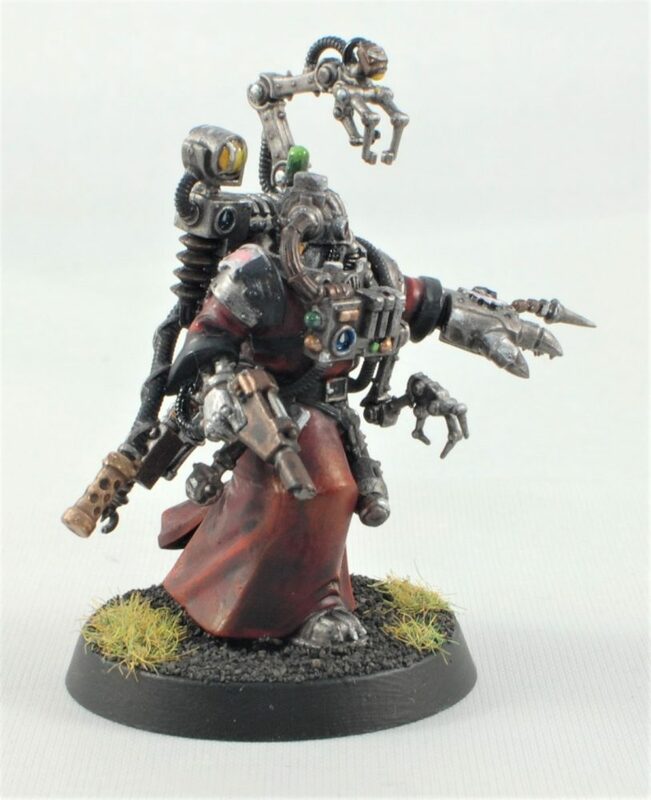 I am using this Tech-Priest Datasmith as a Tech-Priest for my Astra Militarum army. 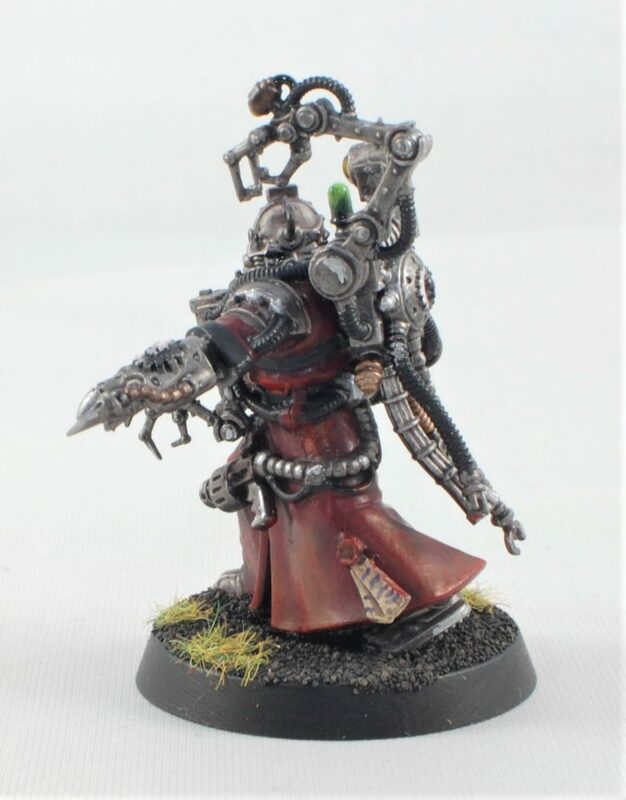 Yes I know he does not have the axe, I was looking to convert his hand, but could not find an axe I liked and I was in a bit of a time crunch for a tournament. 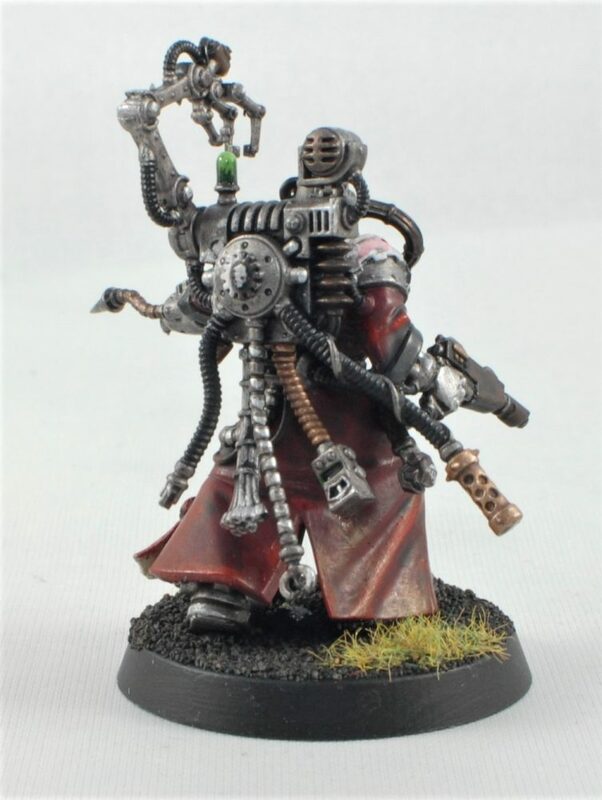 I really love painting all the new Adeptus Mechanicus models they have great detail. 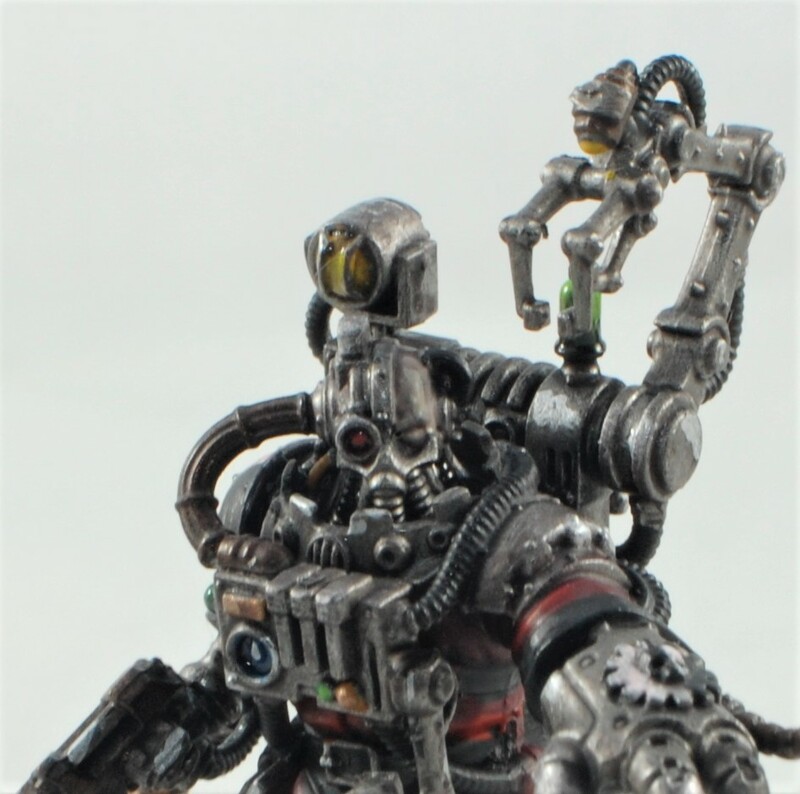 You could spend hours making them look awesome, or do like me and a few fast coats and a wash they still look great on the table. 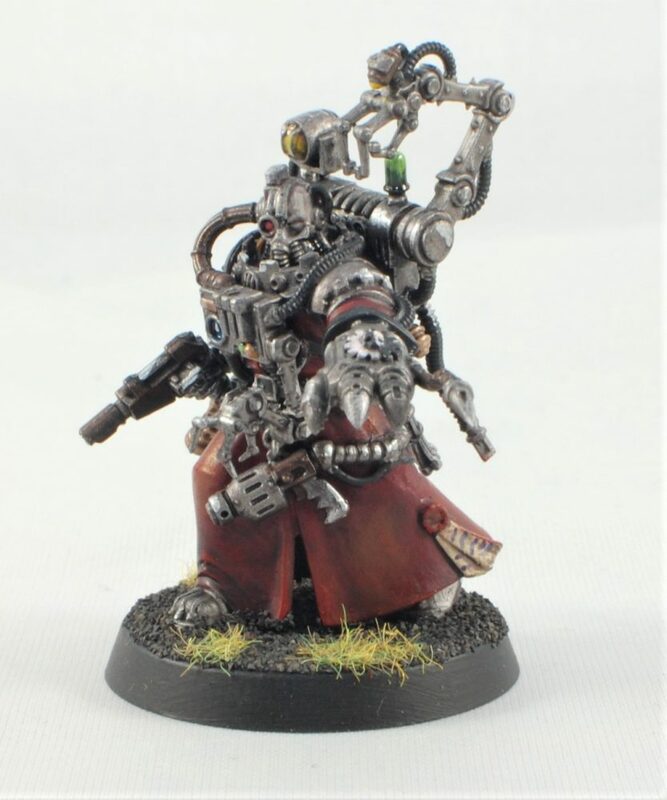 Big shout out to TJ, for hooking me up with this model!